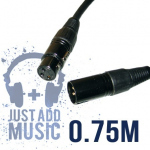 Black XLRs with Gold Plated Pins - Quality cable at a budget price! 2-3 £2.42 ea. 4-7 £2.38 ea. 8+ £2.32 ea. Our own brand of cables, to our own specification, from our own supplier. 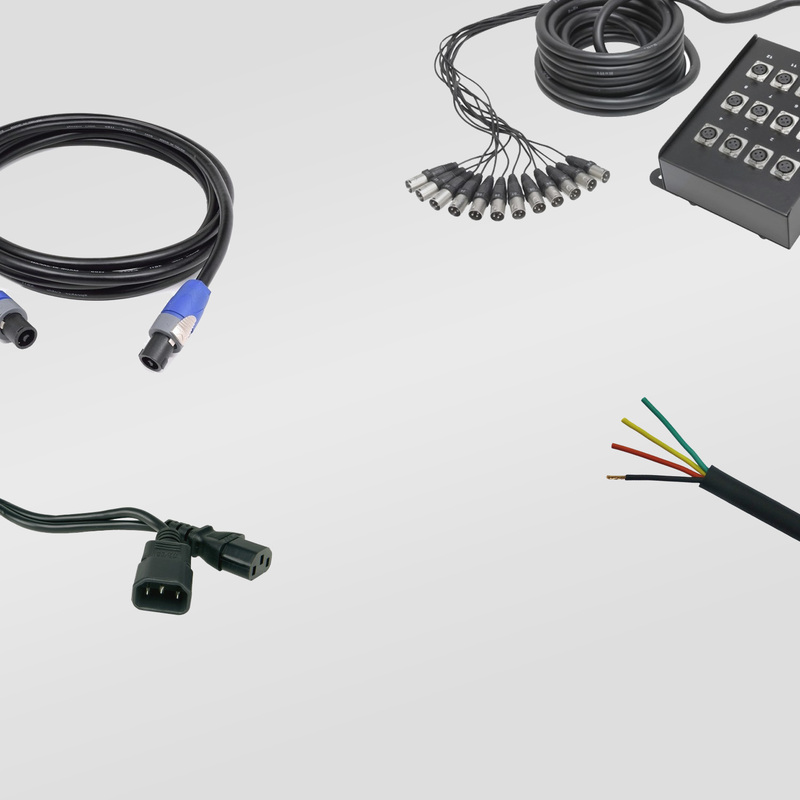 Easy on the pocket without compromising on quality, our continually-expanding range of JAM cables are incredible value for money. We are confident that our new, improved range of cables is the best value range of general purpose cables available anywhere in the UK. 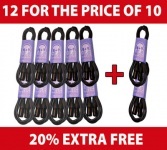 We believe you won't find anything like this at a better price - and if you do, we'll match it! 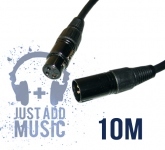 Our JAM XLR cables are available in lengths of 0.5m, 1m, 2m, 3m, 5m, 6m and 10m. These general purpose cables are suitable for use as Microphone cables, or as audio patch leads for your equipment. 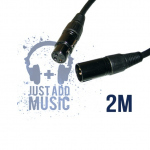 Male XLR to Female XLR balanced signal cable ideal for interconnecting equipment in racks. Excellent value for money, a quality cable at an amazingly good price. 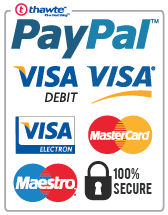 Also available in packs of 10 at even lower prices. Just Add Music ® is a registered trademark owned by Blue Aran Limited. 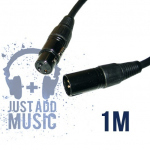 Pack of 1M XLR Cables - 12 for the price of 10!